I’m a boring breakfast person. I’m pretty sure I could eat scrambled eggs every morning of my life and not get sick of them. He gets cranky when he doesn’t get his potatoes. I realized a Whole30 breakfast casserole would be a great option for us to bake up, keep in the fridge and have on hand throughout the week for quick, carby breakfasts in the morning! I was trying to find a recipe we’d like, but everything I came across was either too complicated or too bland. And then I remembered my family’s favorite brunch casserole – the one I make for breakfasts when we’re hosting overnight house guests. Just a few minor modifications turned it into the perfect protein and carb-packed Whole30 breakfast casserole! Thank goodness white potatoes are now allowed in Whole30! Cook sausage or bacon in a skillet and drain excess grease (crumble cooked bacon). Lightly oil a 9×13” casserole dish and fill it with 8 cups of shredded potatoes. You can either buy a bag of frozen pre-shredded potatoes (hash browns), or shred them up yourself in seconds using the shredding blade of a food processor. 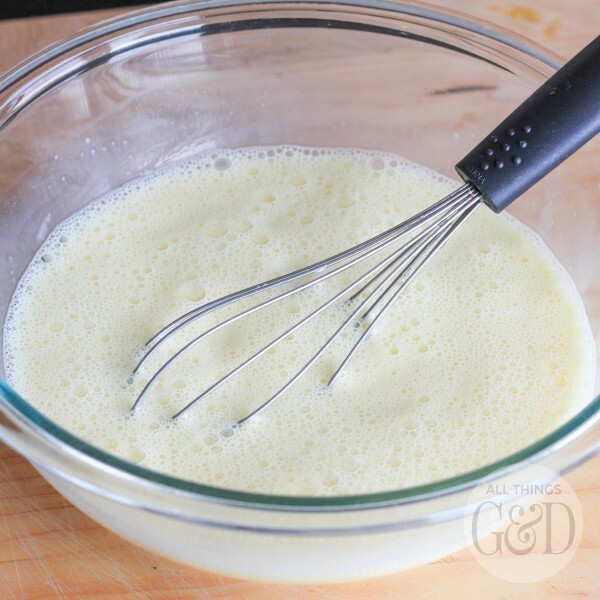 In a bowl, whisk together eggs, coconut milk, salt and pepper. Pour over shredded potatoes. Top with cooked, crumbled sausage or bacon. 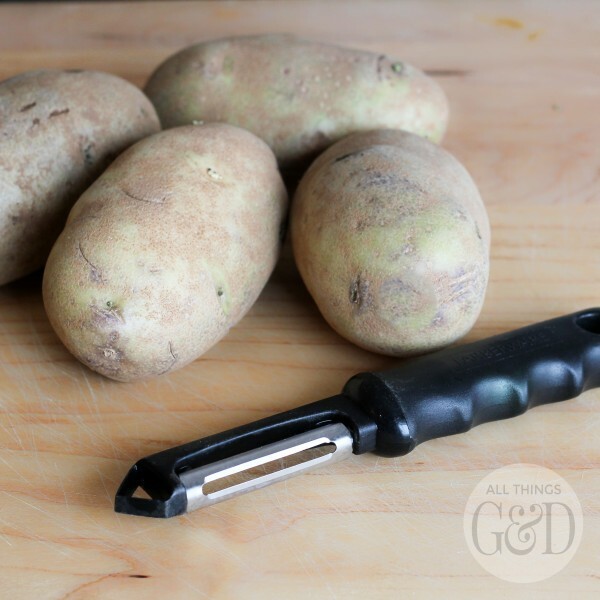 Bake COVERED at 350˚ for 55-60 minutes or until a knife inserted in the center comes out clean. This dish serves 8-10 people – or enough breakfast for an entire workweek of 2 people doing the Whole30! If you’re interested in my non-Whole30 version of this recipe, you can see it here at Homes.com: Breakfast Brunch Casserole. It’s the perfect dish to prepare for weekend houseguests or to bring to a brunch. And the best part? You can make it up to 24 hours in advance to save you time (read: sleep in) in the morning! Like this post? 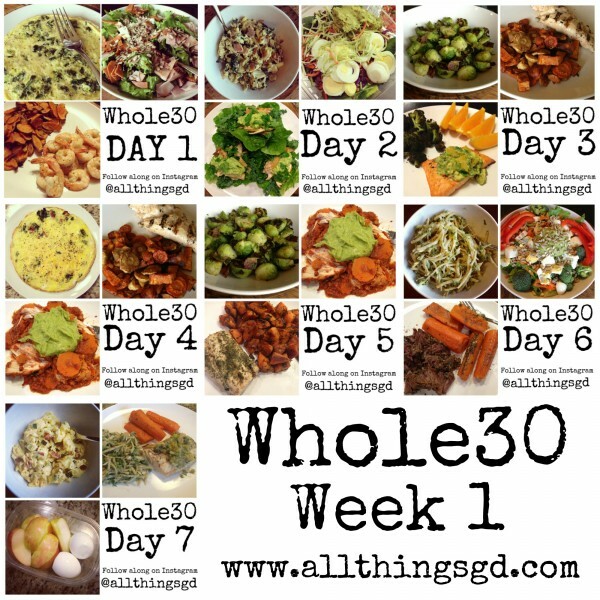 See more of my favorite Whole30 recipes or visit the All Things G&D Food Gallery! This sounds delicious! I just finished my Whole30 on March 2nd. I may have to make this breakfast dish real soon! Yummy! I just wanted to say that this was one of best breakfast casseroles I have ever had (Whole30 and not!). My gram made this (with me being a week into my Whole30) for a birthday brunch we had today. SO GOOD. And filling! Can’t wait to make it again and again, even after I’m done with this! And luckily enough for me, I ended up with the leftovers, so I’m set for a few breakfast meals. Thank you!! Thank you so much for your sweet comment, Jordan! 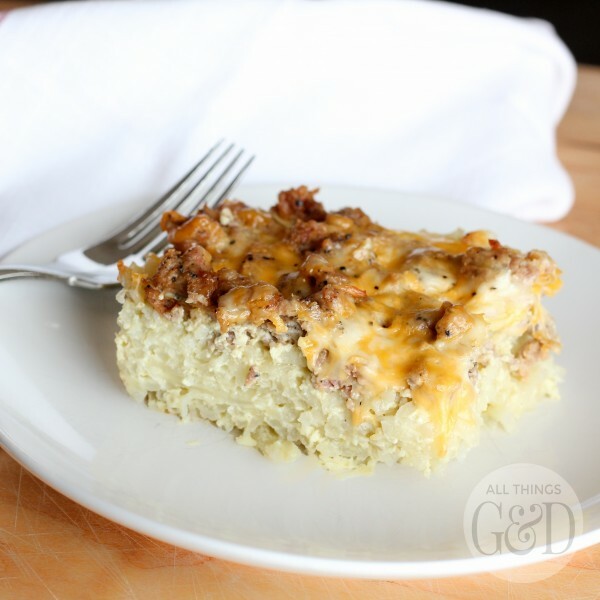 So thrilled to hear you enjoyed this Whole 30 Breakfast Casserole! And so wonderful of your Gram to make it for you and support you on your Whole 30. Best wishes to you over the next 3 weeks! So I made this last night (minus the sausage which I added this morning) and it was a disaster. The potatoes turned completely grey! I cooked it anyway this morning thinking the color wasn’t appealing but it should taste okay – wrong. I will try again and cook right away. Just a warning to anyone else thinking they can make it the night before and keep in the fridge uncooked – I don’t recommend!!! You made it but did not cook it? That is why. Fresh potatoes can not sit. Had you baked the potatoes a bit, even in the microwave it would have been fine. You can make it the night before bake it 98% and finish cooking the next morning and it will be fine.. I had made “regular” breakfast casserole before (with bread/eggs/sausage/cheese) and always let it sit overnight in the fridge unbaked. I did try it again and baked it straightaway… it was good. Not great, but good. I probably won’t make again, but I’m glad I made it to try! When do you put the sausage/bacon on? This looks perfect for a week of whole30 breakfasts for my husband and I! And he’s a midwestern potato-lover so this will be right up his alley. Question: Have you ever tried using sweet potatoes for some/all of the taters in here? Second question: Any recommendations on type of sausage you used? Breakfast sausage links, just regular pork sausage, etc? We don’t have a Whole Foods store nearby so our local HyVee is our only option, and finding sugarless breakfast links is difficult! Can this be frozen in portion sized packages?